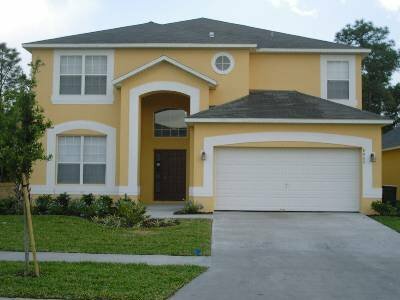 Situated in the Emerald Island gated resort with 24/7 security and just 2 miles from Disney World our 6 bedroom spacious luxury villa has all the home comforts required for a relaxing vacation. With Pool heating and Spa heating included in the price, a comprehensive games room with Xbox, PlayStation and Wi as well as pool table , table tennis and Air hockey there’s plenty to keep you amused or simple relax in front of the large screen TV’s with cable and disk network, switch on the pool side audio system or home theater in the family room, just what’s needed after a day at the parks. Its close enough to split your day at the park , going in early morning and coming back for lunch missing the heat of mod day and then back early evening . Keeping in touch is easy as we have High speed broadband, WI-Fi, a powerful computer and printer as well as internet telephony with free calls anywhere in the world. Full Length Lanai facing conservation area and games room with WIFI High Speed wireless Internet , Pool, table tennis, Foosball, Air hockey, PS2, Xbox 360, Nintendo Wii and board games.